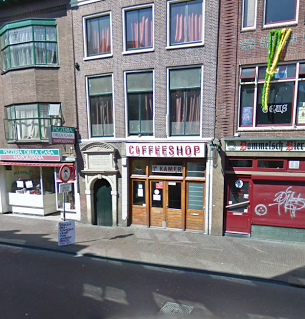 Coffeeshop de eerste kamer is close to the railway station, just a 5 minutes walk. Not a lot of strains in the menu, but reasonable pricing and good quality. No idea about the hasjiesj, maybe you know more about that? (below you can leave comments) Attention, also this coffee shop opens at 17.00 hours! Check the comments about coffeeshop De Eerste Kamer in the comments section at the bottom of the page!